ERNIE SHINES IN THE WELSH! 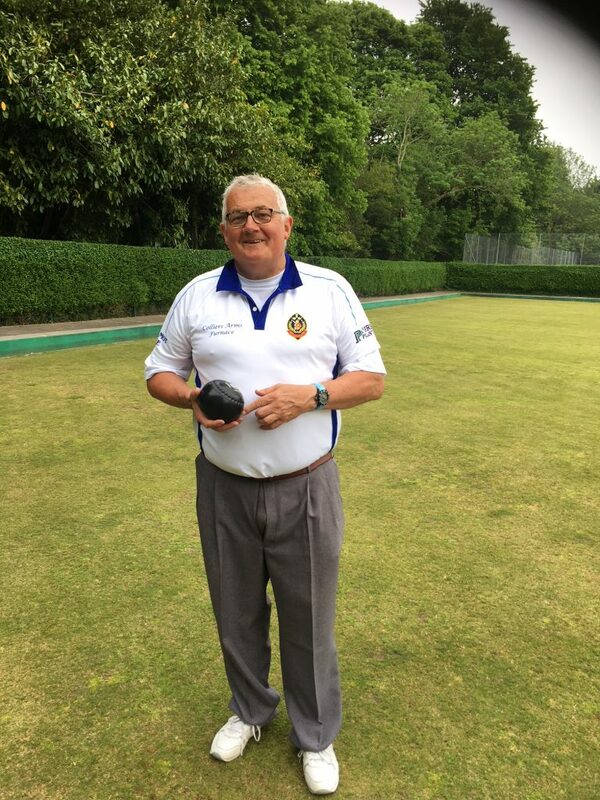 Crusaders Steve ” Ernie” Pope put in a superb display of controlled bowling as he beat Eric Davies of Blue Anchor, Penclawdd in his WBA Senior Singles match at the Dafen Arena on Thursday. In a pulsating game of Bowls, which went to 28 ends, Steve eventually won the tie by 21 shots to 19! He now plays Gary Turner of Parc y Dre in the next round. Previous PostPrevious CRUSADERS WIN THE BATTLE OF FURNACE SQUARE!